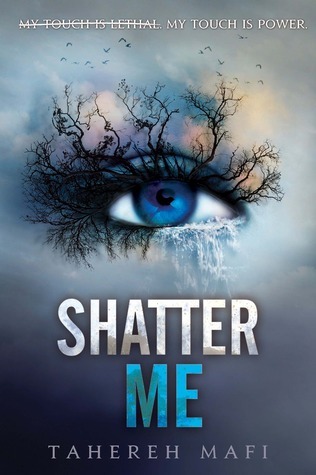 Review In A Nutshell: Shatter Me is an amazing series, one of my absolute favorites! However, I think this book is best for people who are willing to devote some time to getting into the writing style and getting to know the characters. “I am nothing but novocaine. I am numb, a world of nothing, all feeling and emotion gone forever. Shatter Me takes place in a dystopian future, where our protagonist, Juliette, has been locked away for 264 days. Why? Because she can kill people with her touch alone and has no control over this power. When the Reestablishment decides to use her as a weapon, Juliette must decide how to stop them from turning her into the monster she has been so afraid of becoming. This book has so many amazing aspects. First, the writing style. Mafi’s writing style is poetic and beautiful, allowing the reader to have a deeper understanding of Juliette’s thoughts and feelings. I absolutely adored it. However, I do know that this style doesn’t work for everyone, but I honestly feel if you keep with the book, you will grow to love it no matter your first impression. I think that idea is important to another area of this book. The characters. The development these characters go through is amazing. While at the start they are interesting, they become absolutely fascinating and amazing over the course of this series. Especially Juliette herself. The love story also shares that amazing development. While the romance is adorable and fun at first, as Juliette develops, so does all of her relationships. In the first book, the characters and the main relationship isn’t anything groundbreaking. It’s fairly typical and Juliette can be a little too passive at times. But I cannot emphasize enough how important it is to stick with this series until the end. All of the characters are amazing (especially Warner and Kenji, I love them), and they really make this book stand out. The worldbuilding is probably the weakest aspect. While good, it isn’t completely original or fascinating type of dystopia. If you have a bit of dystopia-fatigue, I can see why it may be a negative. Later in the series, it becomes less vague and gets more compelling. Cons– It’s a dystopian in a world where dystopians are completely dead. So there’s that. Shatter Me is breathtaking with beautiful writing and fascinating characters.